Posted on 06 December 2009 by Erik Davis. Today’s Guest Blog is a 2-parter brought to you by Erik Davis, and is titled, Fishing For Toxins. Part 2 will be published on Dec 10. One of the things that has continually struck me about the H1N1 debate is just how much of the dialogue has revolved around the presence of mercury in the vaccine. It’s not that people’s fear over consuming a heavy metal is surprising, nor the jaundiced eye with which the government’s safety assurances are being viewed. It’s just how different these responses have been from those over mercury consumption in fish. After all, the government has issued actual warnings about mercury levels in fish, yet we haven’t seen nearly the public backlash against fish that we have against vaccines. In this article, I’m going to attempt to answer the question of why this may be the case, drawing on some of research into how humans assess risks in their environment. In a followup article scheduled for Thursday, I’ll be looking more deeply at the actual risk of mercury in fish, and evaluating the government warnings to see if they reflect a reasonable response to that risk. It’s been pretty clear for a while that fish is an important part of a healthy diet, and there seems to be little dispute in scientific circles on this fact. It’s high in protein, low in saturated fat, and an excellent source of the long-chain omega-3 fatty acids (DHA and EPA) associated with heart health, brain and eye development. It’s also a good source of Vitamin D — 100g of salmon contains more than the daily recommendation for those 2-50 years old, and the same amount of tuna contains about 40%. Vitamin D has received a lot of attention lately for everything from cancer reduction to heart health to combating depression (claims that are now being tested in the current US VITAL study). No wonder the Canada Food Guide recommends 2 x 75g servings per week. Many people, myself included, have been steadily increasing the proportion of fish in our diets, an easy feat given the plethora of inexpensive canned and frozen options in the grocery aisle. I probably cook less fresh fish myself because of cost and storage issues (read: I’m cheap and hate buying things that go bad quickly), but fresh fish is my “go to” order when eating out, and I do like my sushi. It’s also been pretty clear for a while that there’s a downside to fish in the form of mercury consumption. Even the casual newsreader will understand that many fish contain levels that are too high, and that scientists and government are recommending we moderate our intake. We may have heard bad things about tuna, and though we probably can’t remember their names, we know we’ve seen at least a couple of people on the news say they ate a lot and got sick. And wasn’t there something about that guy from Entourage? So despite the health benefits, there appears to be good reason to second-guess our fish consumption. Yet we’re much less concerned about this risk than we are of mercury in vaccines, and the evidence suggests that we have not lowered our consumption in response — a point I’ll come back to shortly. What is mercury poisoning and how do I get it? Mercury poisoning is overexposure to the heavy metal mercury, which targets the central and peripheral nervous systems. Early symptoms include skin tingling, malaise and blurred vision, with continued / higher exposure leading to visual constrictions, deafness, speech disorder, loss of muscle control — and eventually coma and death. There’s some limited research to suggest that even lower-level chronic exposure is associated with immune system and cardiovascular problems, though this isn’t yet conclusive. And mercury is known to pass the placenta, making it particularly harmful to developing fetuses in even lower doses than it affects adults, resulting in compromised fine motor function, attention, verbal learning, and memory. I could go into more detail, but let’s just agree it’s really bad and should be stridently avoided. Mercury enters our environment from natural & man-made processes that release it from the earth, such as erosion, volcanic activity, forest fires, and (most significantly) the burning of fossil fuels. 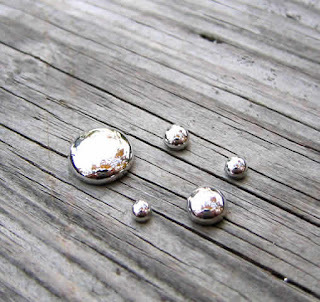 Outside of certain occupational settings, humans get exposed to mercury almost entirely through diet. Concentrations in the air — as well as exposure from dental fillings, thimerosal in vaccines, and broken thermometers or fluorescent light bubs — are all very low. Which is to say, we don’t inhale, inject or touch it so much as we eat it. Because mercury is contained in the soil, there are traces in all foods, but uptake by plants is low and not generally considered to be a health issue. Health Canada runs periodic diet studies, as do many other nations, and they’ve consistently shown the major source of mercury to be the consumption of fish, which absorb it from the water as well as their own food sources. All fish contain traces, but certain fish have enough to be a health concern — primarily the bigger, older fish. This makes sense when you think about it: they’re at the top of the food chain, so their diet includes the highest concentration of mercury in the system (what’s called “biomagnification“), and they’ve been building it up in their bodies for longer (what’s called “bioaccumulation“). How has the public evaluated the risk? As a result of these findings, most governments have put out recommendations on which fish are safe to eat, which should be eaten in moderation, and what quantities are within safe limits. These recommendations have been widely reported by the mainstream media, yet mercury in fish remains a modest concern for most of us. According to a 2006 study by market researchers NPD Group, “67 percent of people are aware and concerned about mercury in fish/seafood, yet of those who do eat fish, 28 percent plan to eat more of it in the next month.” The research suggested that Americans (this was a US study) are receiving conflicting information and making trade-off decisions, often choosing to ignore the mercury risks in favour of the health benefits. So while there’s clearly some cognitive dissonance, there’s no widespread panic of the sort that we saw with the H1N1 vaccine. Why should this be? People clearly know that mercury is bad, so why does the very small amount in the flu shot cause significant fear despite safety assurances and the obvious public health benefits of inoculation, while levels in fish significant enough to prompt government advisories are given short shrift? The answer comes to us via the last 30+ years of research in evolutionary psychology, which has uncovered a series of heuristics (rules of thumb) our brain uses to make risk assessments. These heuristics were extremely useful to humans for several hundred thousand years, such that they’ve become hard-wired by evolution and form a fundamental part of our interaction with the world around us. Unfortunately that world, and the risks in it, are dramatically different today, and as a result our higher faculties are often held hostage to these artifacts of evolution. In fact, our response to mercury risk in fish vs. vaccines is a pretty good illustration of how two of the most important heuristics can steer us wrong. The first is the availability heuristic, which says that if we can recall a recent example of something happening, its likelihood is higher, and if we can’t, it’s lower. With vaccines, the examples are easy to come by — thanks to Jenny McCarthy, Oprah, and many, many unquestioning media reports, we have countless examples of bad things happening when people get vaccinated (baseless though they may be). By contrast, fish mercury lacks a celebrity spokesperson, and the media coverage tends to come out as new research is released — not when something terrible happens to someone. In fact, there’s a pretty high degree of balanced, credible information making its way to the top of the heap. The top 10 hits on a Google search for “mercury in fish” starts with two articles on the US Food & Drug Administration website, a handy wallet card from the National Resource Defense Council based on FDA data, and some recent research from the US Geological Survey. The Wikipedia article that followed was reasonably balanced and relied heavily on FDA data, and Health Canada came after that. The two news stories that made the cut were from the Economist and MSNBC, both lightweight summaries of recent findings. The American Heart Association and New South Wales Food Authority were also represented. The reader of all of these is left with a reasonably accurate picture of the research, and critically, no graphic case studies of people who have been adversely affected. It’s dry stuff without a human element, and doesn’t trigger our brain to overstate the risk. The second heuristic at play here is the affect heuristic, which says that we make intuitive good-bad assessments of things, and then attribute an inverse correlation between that value and the risk. So if we see fish as inherently good, we’ll also see it as inherently low risk, and vice-versa. Those initial assessments are also very hard to change — there needs to be a well publicized, visceral example to serve as a cautionary tale for us to change our assessment. This is what’s happened with vaccines in the last several years — they’ve gone from Good to Bad in many people’s minds thanks to the extensive anecdotal “record” presented by Jenny & co., and so they’re seen by those people as riskier. Fish mercury hasn’t had that visceral example — the closest we’ve got is the recent tale of Jeremy Piven of Entourage fame, who’s virtually unknown to the 70% of US households without HBO. And Piven’s tale probably wouldn’t be enough to make us worry regardless, because all the reports said he eats sushi nonstop and was taking a whack of (possibly mercury-containing) Chinese herbs”¦not typical behaviours for most of us. So in the absence of some big example to make us change our minds, our brains’ original assessment of fish stands — it’s good, just like mom, folklore, and (later) science told us, and good things are lower risk. Of course, whether we intuitively think something is good or bad is not actually correlated to its risk. Which is why, if the public health authorities have it right, then our brains are steering us wrong about mercury on both counts. Others on this site have diligently addressed, and validated, the public health assessment of mercury risk in vaccines. On Thursday, we’ll look at the actual mercury levels in fish and compare them to the government recommendations to see if our brains have indeed duped us twice. Erik Davis thinks we really are living in the best of all possible worlds, and is astounded at how many people don’t see it. Accordingly, he’s agreed to be an occasional guest contributor on Skeptic North on the topic of risk perception. A long-time opponent of all things Web 2.0, he was finally induced to blog by PharmacistScott, who threatened to withhold his OxyContin.